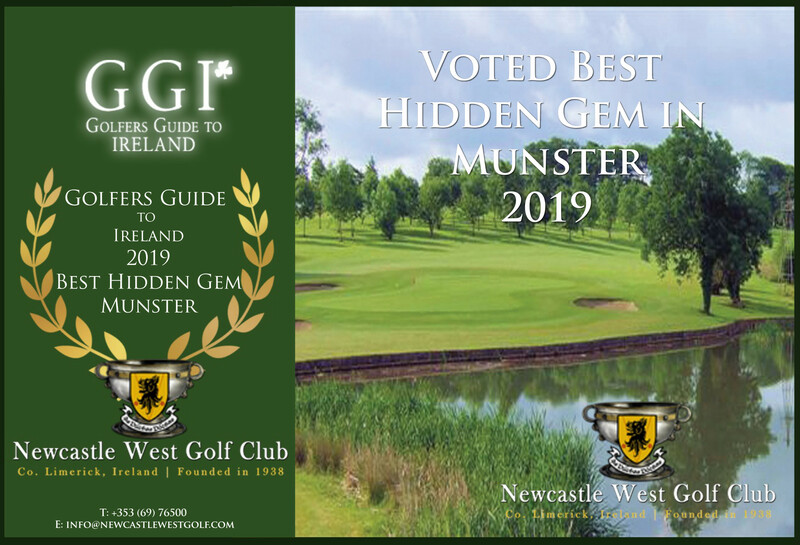 Newcastle West Golf Club was awarded the prestigious ‘Best Hidden Gem’ in Munster accolade at a joint 2019 Golfers Guide to Ireland /PGA Gala Dinner at Druids Glen Golf Resort, Co. Wicklow. 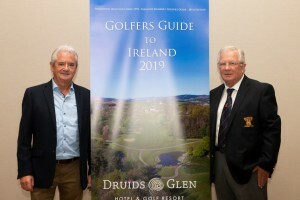 The Golfers Guide to Ireland, announced the results of its annual golf business awards, which includes parkland and links clubs, golf resorts and hotels specialising in golf travel and tourism. 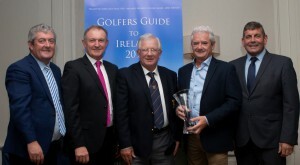 All awards were won on the basis of an all-Ireland poll undertaken from within the golf and golf related business community. 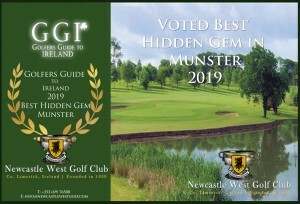 This is the second time Newcastle West Golf Club received this prestigious award. The other provincial ‘Hidden Gem’ award recipients were as follows. 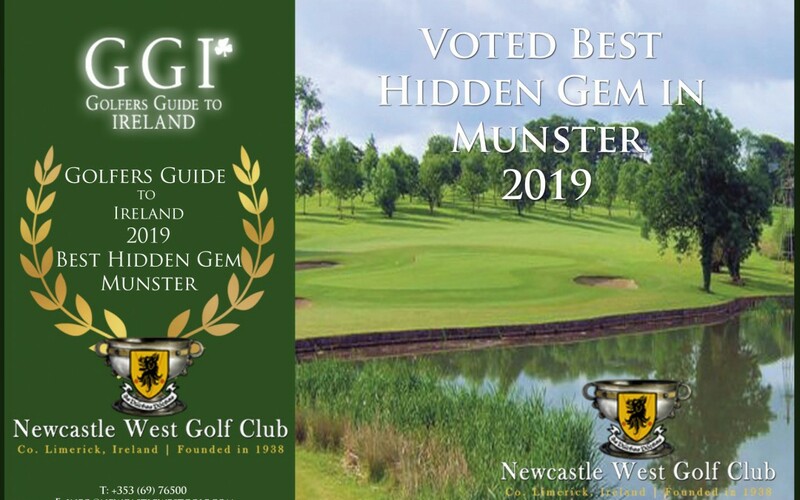 Our nearest neighbour Adare Golf Club, was nominated Ireland’s best golfing resort. The event was attended by over 100 golf club and PGA interests nationwide. Guest of honour, Minister of State Andrew Doyle TD, presented the awards which recognise leadership roles played by leading Irish Golf Clubs and hotels specialising in golf holiday breaks. These included awards for best value, best provincial parklands and links, golf club managers, hidden gems, golf resorts and hotels and restaurant categories. Each of the winners received a specially commissioned Tipperary Crystal vase in recognition of their achievement. The occasion also featured the PGA’s presentation of their Annual Benevolent Fund Awards to PGA members to acknowledge the achievements and distinctions amongst PGA Professionals in 2018 with the proceeds going towards the PGA Benevolent Fund. 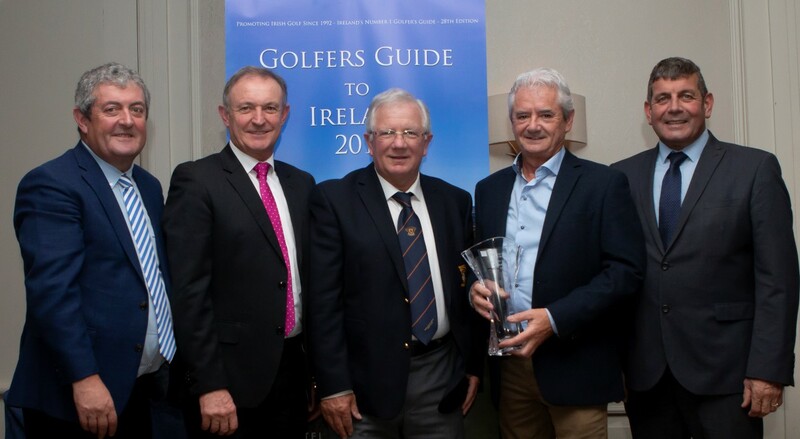 Paddy McCarthy, Publisher, Golfers Guide to Ireland said it was a privilege to recognise individual achievement by those involved at the grass roots of Ireland’s golf industry. “2019 will be an interesting year for the administration of Irish Golf. 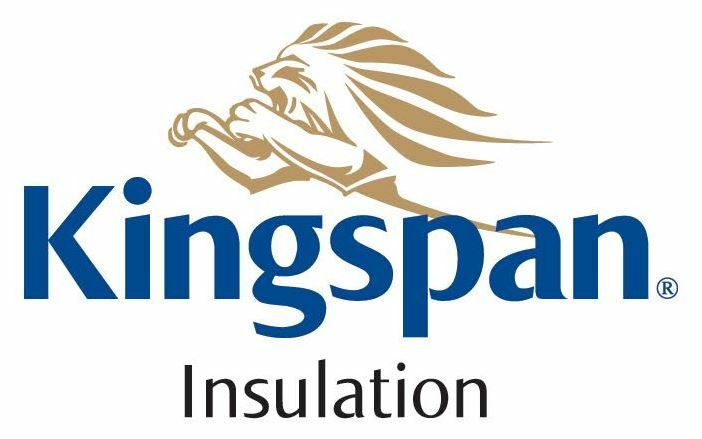 The process of establishing a single governing body, Golf Ireland, an entirely new enterprise representative of all affiliated clubs and their members both men and women gets underway with hopes of completion by January 2021. We at Golfers Guide to Ireland warmly welcome this proposal and see it as ushering in a new era for Irish golf. We believe the need to address equality issues, the fall off in memberships over the last decade, and in particular the weakness in member numbers in the 25 to 55 year olds categories, is overdue. A single body which can lobby in support of golf will place the sport on a par with other sporting bodies particularly in the area of funding.